With so many different choices like Facebook, Twitter, Google+, Instagram, Pinterest, Flickr and many others, it is important to choose wisely. 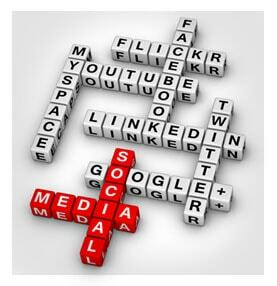 Having a social network page is another way to advertise who you are, what you do and how you do it. There are strategic ways to leverage your brand (aka: brag about your company). A government contractor might consider posting details about a new project you have been awarded. A home remodeling company could post before and after photos of a recently completed project. A business might post their recent participation in a community event such as ‘Polar Plunge or 5K Cancer Walk’. A company or personality might Tweet a post about a recent news event or breaking news. Google+ (Google Plus) is a great business to business or peer to peer communication tool. The strength of Google+ lies in the ability for users to create groups of interest and have ‘like-minded-users’ join the group. A software application company might use Google Plus as a support forum or feedback page. Snap, Instagram, Pinterest and Flickr primarily visual social networks, where businesses may post interesting photos of events, products, travel images and art. Blogs were made popular when widely adapted into Word Press. A user could quickly post an information page complete with photos or graphics that featured a comment system. Most blogs are written to be informative or conversational. Blogs were the earliest form of social networking and are still widely used today.